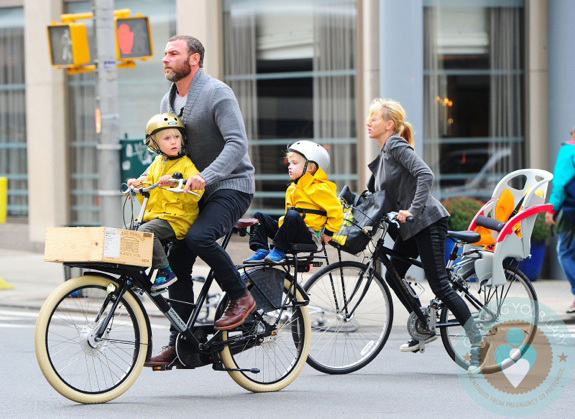 Liev Schreiber and Naomi Watts were photographed enjoying some time out with their boys in New York City on Wednesday. The couple spent some time with their youngest son Sammy at the park before heading to pick Alexander up at school. 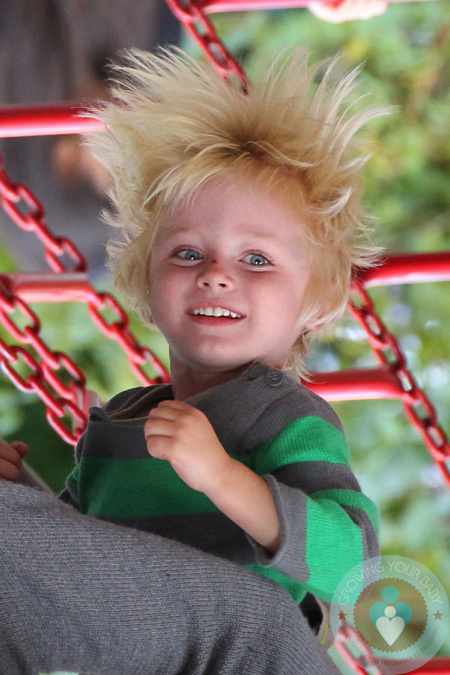 Sammy was all smiles as his dad flipped him upside down on the climber and swung him around on the grass. 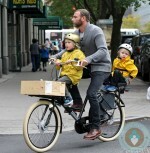 I am loving Liev’s ‘Workcycles Fr8‘ bike. He was first spotted out transporting his boys around the city on it last week. With its two extra seats, it really is a cool way to move a family around the busy city. The boys must think it’s pretty great too as both opted to ride with dad and left mom with an empty seat on the back of her bike.